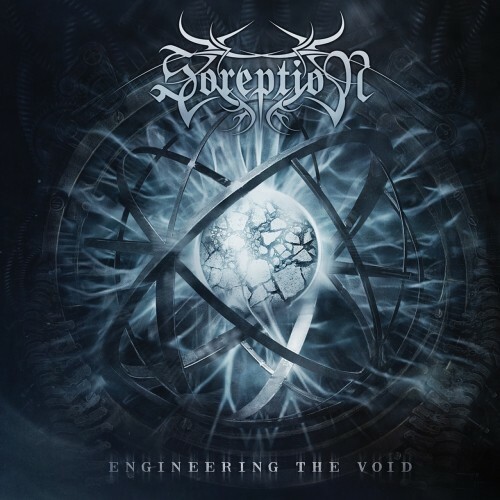 Currently viewing the tag: "Engineering the Void"
Technical death metal. You know the images and sounds those three words conjure up: endless sweep arpeggios, slapped bass with only the freshest of strings, fast double-bass drumming, an album cover that utilizes colors on the cooler side of the Color Wheel (mostly hues of purple and blue) and has an alien somewhere in it, the band logo in a sharp, nigh-symmetrical font.... And for the most part, you know what to expect when someone tries to take the throne from the likes of Decapitated, Gorguts, or Necrophagist. We're all about the Color Wheel here at AMG, but only the cool side. We also appreciate some good tech-death. Does this qualify?